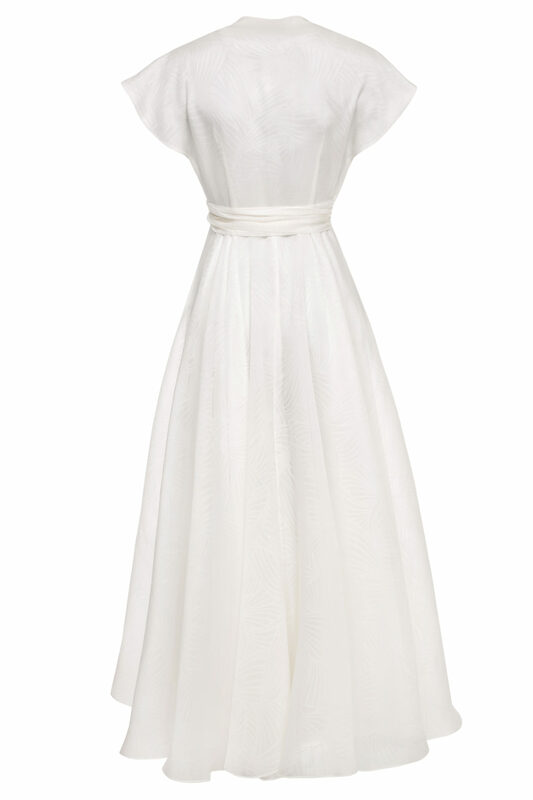 One of the most loved dress styles for the resort season, the Grace dress is now available as a bridal option. 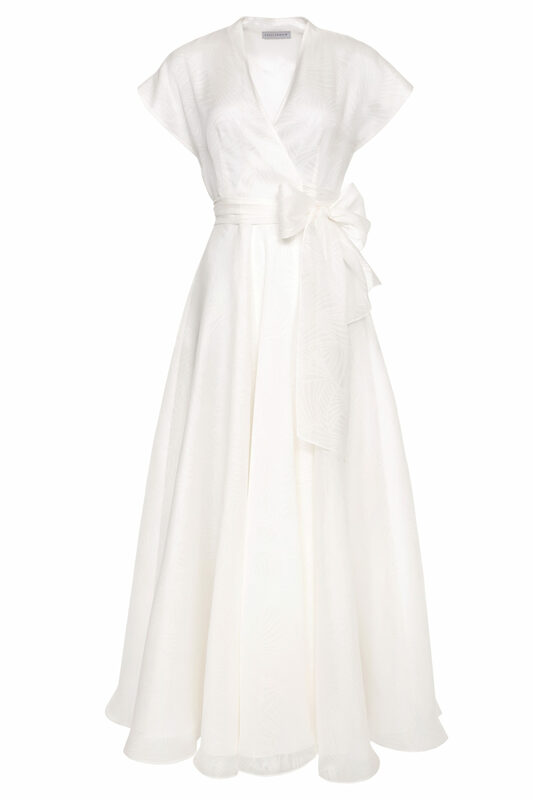 Crafted from light and airy jacquard silk-organza in an ivory white hue, this voluminous gown has a wrap front and long waist ties that can be knotted to cinch in the narrowest part of your frame. Styling tip: A beautiful bridal option that would also look so chic with mules and oversized earrings for summer parties.